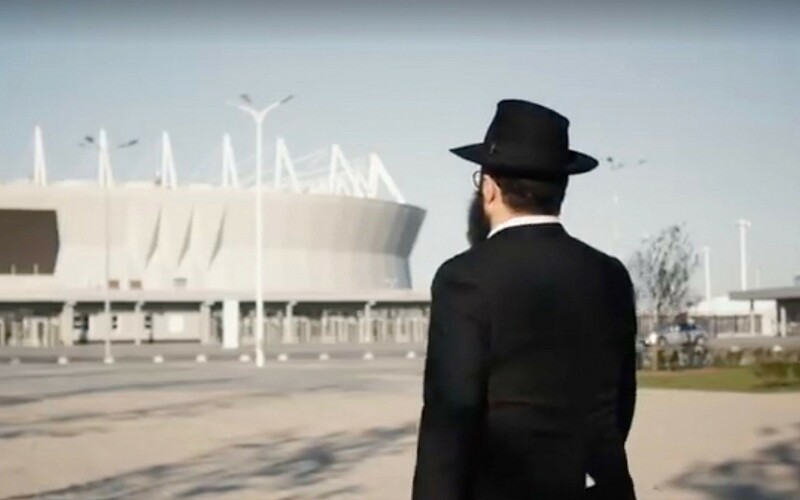 Rabbis from around the world urged soccer fans attending World Cup tournaments in Russia to visit Jewish community facilities that were set up especially near stadiums. Ami Feikovsky, a former professional soccer player for the Beitar Tel Aviv team and the rabbi of the Beitar soccer club, said that dozens of rabbis are in Russia to accommodate the spiritual needs of thousands of Israelis expected to visit the monthlong tournament, which kicked off Thursday and will be hosted in 11 cities across the Russian Federation. Amenities include free warm meals, internet connections and group prayers, he said. Feikovsky, 66, became the official rabbi of Beitar after he adopted an observant lifestyle in 1985. In an interview published Friday in Ynet, Feikovsky said that at each of the cities hosting the matches, Chabad envoys are offering Shabbat dinners, warm kosher meals and holding prayers. Yanki Freidman, a Chabad rabbi, is liasoning with other rabbis based in the relevant cities, including Moscow, St. Petersburg, Sochi and Kazan. Some Chabad rabbis based in hosting cities took the opportunity to profile their locales and communities with glossy videos designed for social networks and the media. One such video published this week was aired on the RND1 local television station. Featuring an upbeat rock soundtrack, it begins with a slow-motion sequence starring Chaim Danzinger, the US-born rabbi of Rostov-on-Don in southern Russia. He moved there with his wife, Kaila, in 2008 from Pasadena, California.